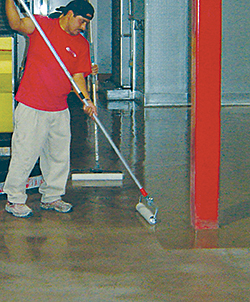 Dur-A-Glaze MVP is designed to reduce moisture vapor emissions in concrete slabs. It can be applied as soon as five to seven days after the slab is placed. It is a two-part epoxy system available in 1-, 5- and 50-gallon containers. Its moisture reduction performance is warranted for 10 years.